The ALU-fin has an L-shaped base, and is in contact with the carbon steel tube itself. The ALU-fin is crimped into a groove in the basic tube. The fins are extruded from a basic ALU-tube that previously encased the carbon steel inner tube. Spiral Tension Edge Wound for non conventional cooling or heating. 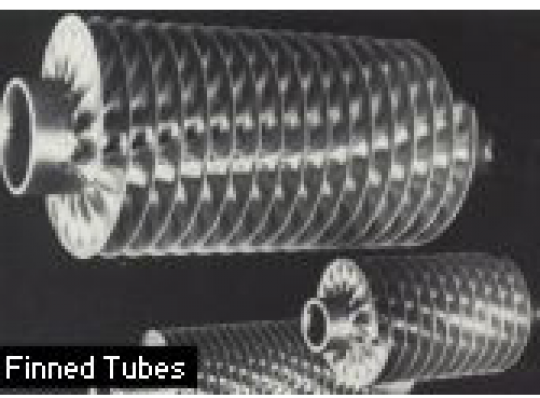 Spiral tension edge wound finned tubes are mainly used for the heating of houses or large spaces, but also for industrial applications as heat exchangers. .
We fabricate in house spiral tension edge wound finned tubes with the base tube and the fins out of carbon steel or stainless material. 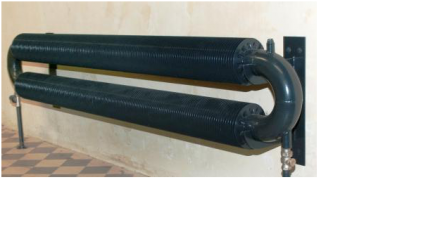 These finned tubes are produced in nearly each length. Working temperature is up to 150°C.